Allandale Park is one of a small handful of stud farms based in Western NSW’s Bathurst and Orange district. Established 1982, Allandale Park’s first stallions were both imported and Australian-bred sires, with the property standing many over the past 30 years. During that period the Todd family have made some wonderful friendships, relationships that underpin the foundations of their success to this day. Horses are well looked after at Allandale but they are bred to be racehorses and so are not mollycoddled unless they need to be, for example yearlings that being prepared for sale. Says Claire: “We believe in horses being horses, free to run and play in the sun, stomp in the mud and eat all day.” That attitude has been vindicated by the success of horses reared on the farm that subsequently went on to earn far more than their keep on the track. Allandale's rates for long term spellers, and broodmares between breeding seasons, are great, says Claire, who appreciates the need to keep the costs for owners affordable. Garswood Gamble ($63,100) and Red and Black ($95,080) and Canterdown ($146,360) are country racehorses that bring a smile and hold a special place in our history, horses that proved sound and tough, consistently winning and earning but, more than that, providing their owners such a great time following their horse, bringing friends and family together to celebrate,” says Claire. “Another memorable mating for Allandale Park was Star of Universe, bred by Mr Thompson from Octedi, a small mare, short and narrow. Just goes to show you never know what you are going to get, and that is breeding. Star Of Universe’s record was 191 starts, 21 wins & 45 placings for $160,245. “We treat all the horses on farm like our own,” reveals Claire. 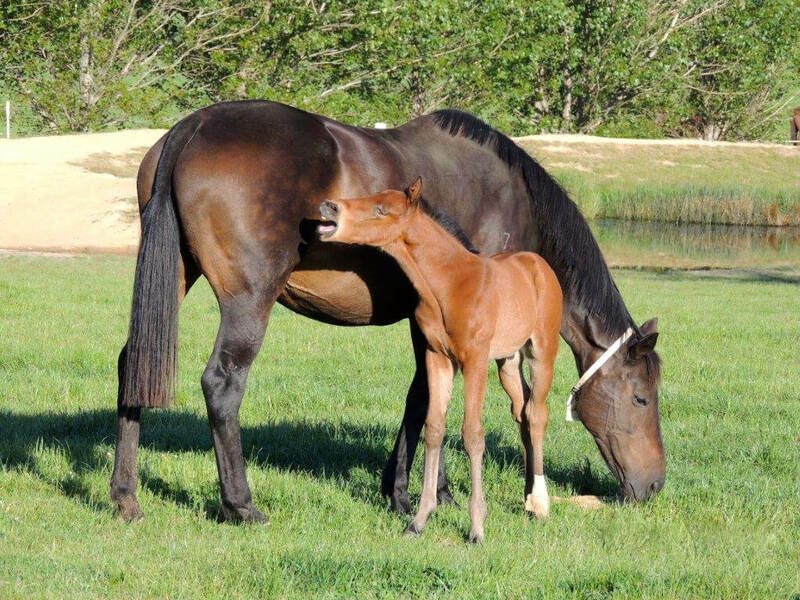 “We are saddened when colic and accidents happen, we are excited and happy when mares foal and progeny win, just like all owners.” She acknowledges, “There are many highs and lows on the farm. Drought thins your hair, accidents, low selling prices and slow racehorses hurt your confidence, while winners bring the grin back; all the up and downs are breeding and it is wonderful to be part of it.” Among the highs have been the deeds of a mare owned by client Balmoral Bloodstock. A daughter of the stallion Dracula, Bloodline foaled down multiple Gr1 performer Platelet and her talented sibling Intravenous at Allandale. An ideal family set up for breeders who enjoy having someone to share their dream, Allandale Park’s team knows from experience that breeding is a hard long term commitment with only a few breeders able to put a G1 winner to their breeding history. But whatever the outcome of clients’ matings, the Todds revel in walking with their clients every step of the way.